The fun and adventure begins when the Monroe family returns from the movie with a new family addition – a rabbit. The family agrees to name the bunny Bunnicula, since it was found at the movies while watching Dracula. However, two family members are hesitant about Bunnicula – Chester the cat and Harold the dog. We learn about Bunnicula from Harold’s perspective. Chester believes Bunnicula really is a vampire and with Harold’s reluctant help they discover more about Bunnicula. Bunnicula has fangs and stays awake at night. Is Bunnicula really a vampire? Humorous events occur as Chester is determined to prove that Bunnicula is a vampire. I loved Bunnicula! I really did laugh out loud as Harold described the weird events happening in the house since Bunnicula arrived. The reader learns about Chester’s mischievous behavior and Harold’s family loyalty. The book is mysterious without being scary. Readers will be curious about Bunnicula and want to know more about Chester and Harold’s adventures. There are additional books in the Bunnicula series. I highly recommend Bunnicula for a fun read! 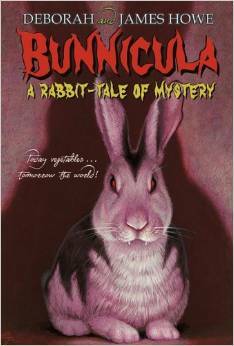 This entry was posted in Ages 5-7, Ages 6-8, Book Review, Chapter Book, Children's Book, Mystery, Series and tagged animal, Book Review, Bunnicula, chapter book, children's book, Deborah Howe, humor, James Howe. I’m half way between thinking and not thinking as my hand glides across the page creating different doodles. My doodles usually look like shapes or flowers. Perhaps I just write my name in different scrolls or prints. Can you doodle without a pen? I think it’s a little different, but the mindless action can still take place. You can add lines, shapes, colors, and different fonts to doodle on your computer. Everyone’s mindless doodles are slightly different. What do you do during a mental break between thinking and not thinking? Those ‘doodle moments’ can spark your next project or interest. So go ahead and grab that pen and paper to doodle away! This entry was posted in Humor, Writing and tagged doodle, drawing, humor, mental break, writing. I used the book China Dolls by Lisa See. (I just finished, so a review may soon follow.) The word I picked was ‘street’. Thank-you for the mostly pleasurable bike ride this morning. I can tell you need to freshen up a bit, since the holes weren’t fun. I know it’s not your fault. You take the stress and demands from cars, construction sites, and even teens skateboarding every day. I also know that it’s the city who needs to shape up and help keep you looking beautiful. When my bike coasted on your smooth pavement it was such a delight! I’ll try to remember that feeling the next time a street is bumpy. I never know what the next street may look like. This entry was posted in Writing, Writing 101 and tagged bike ride, China Dolls, humor, letter, Lisa See, street, writing, writing101. If you know me, you know I have many random thoughts that I share. Although, for some reason people don’t like when I share these important thoughts. Perhaps you’ll find them humorous. So I’ve recently been a little sick and this morning I woke with a terrible cough. It was time for some medicine. I opened the medicine cabinet to many overwhelming choices. I decided on just a basic cough medicine that supposedly tasted like pineapple. It didn’t. Unfortunately, I used all the portion and wouldn’t have enough in 4-6 hours. I went on a trip to my local Target for other items too. Before I could travel down the sick aisle, I needed to buy more toothpaste. It always amazes me that there’s a whole aisle dedicated to just toothpaste! Do I want extra whitening, cavity protection, fresh breath, foaming sensation, or a sensitive choice? One item caught my eye: ‘Be Adventurous’. I’ve recently become slightly more adventurous. (I just enjoyed a delicious hummus sandwich.) So I picked up this ‘adventurous’ toothpaste to discover a new flavor: chocolate mint. Yes, you heard correctly, chocolate mint. Now, I’m a chocolate lover but I’m not sure it belongs in my toothpaste. However, there’s still a fresh mint taste. I decided it was too adventurous. Finally, price won the battle decision. I bought a two pack for the price of one with all the perks. Score! Now off to get my cough syrup. Another aisle dedicated to wellness. I can understand, because there’s so many different sicknesses. I found cough syrups, but was faced with more decisions. What kind of cough do I have? Does anywhere else hurt? Is there also mucus when I cough? I almost hope I cough at that moment to help decide which is best. I then pick up bottles to compare ingredients (drugs?) as though I’m a doctor. Ah, this one has this drug but if I’m in pain I need this drug too. Hmm, too many decisions. I then notice the ‘flavors’. There’s cherry, orange, tropical, and original. ‘Original’ flavor scares me. Does it mean the original gross flavor to make me more sick? The great news is that many are gluten free. I never even knew gluten was an issue in medicines. I finally decided I have a slight headache and stuffy nose so I went with the cold/cough. Oh, I hope I picked the right choice. I guess I’ll find out soon. I hope my rambling thoughts didn’t annoy or bore you too much. I’m off to drink liquids and rest. *Update: The original flavor does indeed make you feel more sick. This entry was posted in Humor, Writing and tagged cough syrup, humor, medicine, sick, toothpaste, writing. The book begins with the story of The Ugly Duckling, but then disaster occurs when a crocodile interrupts the story. The book challenges the reader to turn the pages very carefully, since there’s now a crocodile loose within the story. Throughout the book, the ugly duckling appears on the pages almost interacting with the crocodile. While the crocodile is in the book it eats letters and gobbles sentences. When the crocodile is asleep then a crayon is used to draw a tutu and bow, so it no longer appears scary. Finally, the crocodile eats through the pages until it leaves the book from an actual hole in the book’s back cover. Open Very Carefully is a humorous book that connects the reader and book, since the writing continually asks if the book will still be read with a crocodile. 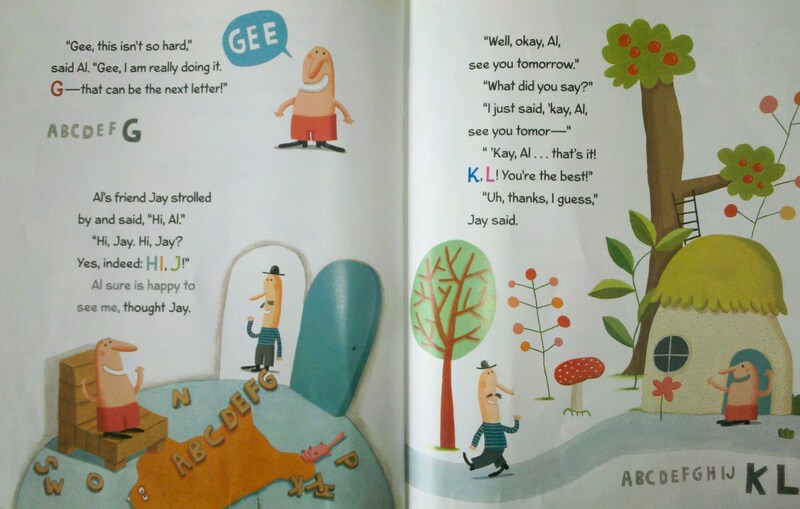 There are also pages when the reader needs to shake the book to hopefully get the crocodile out. The end was especially fun, because there are holes where the crocodile ate pages and climbs out the back. The first time reading it could be fun to hide the back so it’s a surprise. This entry was posted in Ages 4-6, Ages 6-8, Book Review, Children's Book, Picture Book and tagged Book Review, children's book, humor, Nick Bromley, Nicola O'Byrne, Open Very Carefully: A Book With Bite, picture book. Here’s a second inspiration for the weekly photo challenge culture. I saw this woman with her dog dressed in hot pink and thought it looked cute and humorous at the same time. She’s stylish and well dressed ready to go anywhere with her chic dog. I want to know more about this woman and where she’s taking her dog. It’s amazing how people relate to their pets in our culture. In this case the dog is more of an accessory. This entry was posted in Photos, Weekly Photo Challenge and tagged culture, dog, humor, photos, street photography, weekly photo challenge. How exactly did the twenty-six letters form the alphabet that we know today? Well, it occurred long ago when a king announced that he wanted someone to arrange the twenty-six letters. A man named Al Pha made a personal bet with himself that he would indeed make the perfect arrangement for the letters. It started with A for his name then gradually everything seemed to naturally fall into place as he organized the letters. When his friend Jay came to visit HI J was formed. Near the middle Al became discouraged, but he told himself NO that he needed to finish. Finally, Al Pha presented his arrangement to the king who then sang the letters. Well of course the king asked Al if ‘this time won’t you sing with me?’ The king loved Al Pha’s letter arrangement and decided it would be known as Al Pha’s Bet. I absolutely loved Al Pha’s Bet! The writing was fun and humorous with brilliant pictures to match the writing. The alphabet slowly forms on the pages as you read. After reading Al Pha’s Bet you’ll almost agree with how the letter arrangement formed. I’m sure children and even adults will laugh while reading this book. 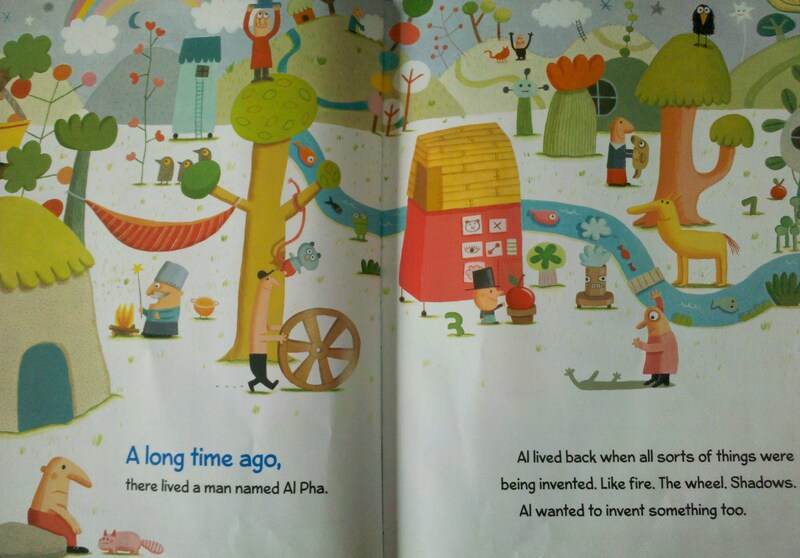 This entry was posted in Ages 2-4, Ages 4-6, Book Review, Children's Book, Picture Book and tagged Al Pha's Bet, alphabet, Amy Krouse Rosenthal, Book Review, children's book, Delphine Durand, humor, picture book.